The notion of disordered self as the core, trait-phenotypic disturbance of schizophrenia was ventilated in nearly all foundational texts on schizophrenia, and it is strongly supported by recent empirical studies. In this chapter, we introduce the reader to a variety of clinical manifestations of self-disorders in single, comprehensive case story, which we subsequently analyze in the light of contemporary phenomenological research. We also briefly address the psychopathological core that appears to underlie the various manifestations of self-disorders. Moreover, we provide a dense overview of the results from empirical studies, and we discuss the adequate way of assessing self-disorders in the psychiatric interview. 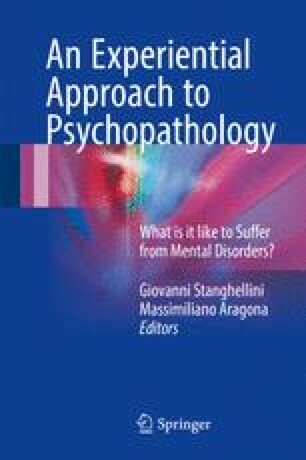 We conclude that self-disorders are crucial elements in the psychopathology of schizophrenia and that they may aid the understanding of our patients and their experiential life, play a significant role in diagnostic and differential diagnostic procedures, and offer vital resources for a more phenomenologically informed psychotherapy for schizophrenia.